David Seifert in the service department is great. I appreciate the professionalism, knowledge, and kindness that he gave me. It makes the visit very easy. We bought a new Landrover from this dealership. Great group. We worked with Rick there. We live in North Carolina and never had to even go down to the dealership So it does not matter where you live Rick will get it done for you. It was so easy. No pressure at all. We saw what they had on the lot on their website and picked out what we wanted. They had it shipped to our front door and all was good. Thanks Rick and team. Got a great deal on a car here! 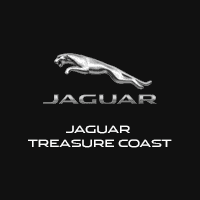 Great experience buying a car at Jaguar Treasure Coast today with Zach Phillips, no high pressure sales, friendly and a super easy process. Thank you Zach love my new car. We visited Jaguar/Land Rover in Fort Pierce after a disappointing experience in the Palm Beach dealership. In Palm Beach they tried to upsell and were extremely overpriced in their lease negotiations. In Fort Pierce we first met Zach, who really tried to match us with the vehicle and options we were looking for. Although we didn't come up with a match the first try, he and Bernie teamed up, and together they located a vehicle which was very close to our wish list. Bernie worked very hard to get us a very fair lease deal, and we are very appreciative. The negotiations began with a very realistic number from Bernie which immediately told me they were being fair and reasonable and I didn't feel ripped off from the get go. My wife and I are very glad we took the time to visit the Fort Pierce dealership and very grateful for all of Zach and Bernie's assistance in getting a great F-Pace. My wife loves it and the purchase experience was unexpectedly fantastic.